It doesn't get much cuter than this. 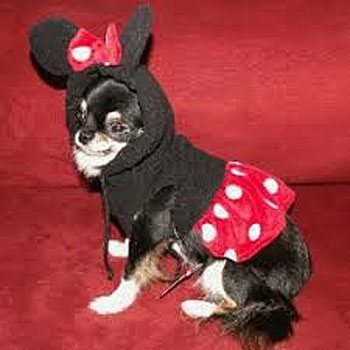 Minnie Mouse dress is perfect for your Halloween party! Features include a polka dot red dress and mouse ears with a bow for Minnie, and red pants with yellow patches and mouse ears for Mickey!